I'll come clean at the start! 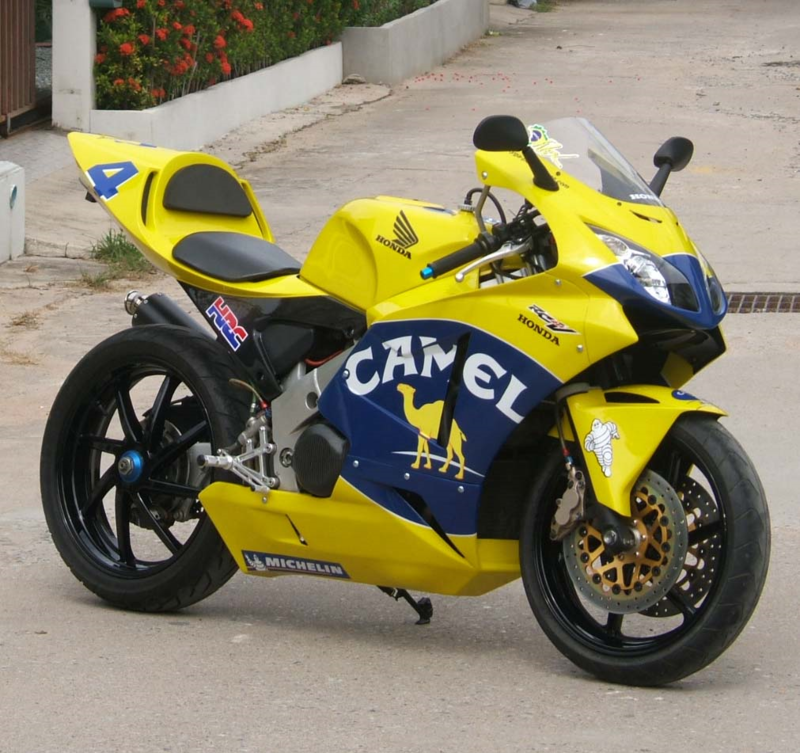 This particular bike is actually the exact same bike we used to make the Rossi Rep a couple of years back. 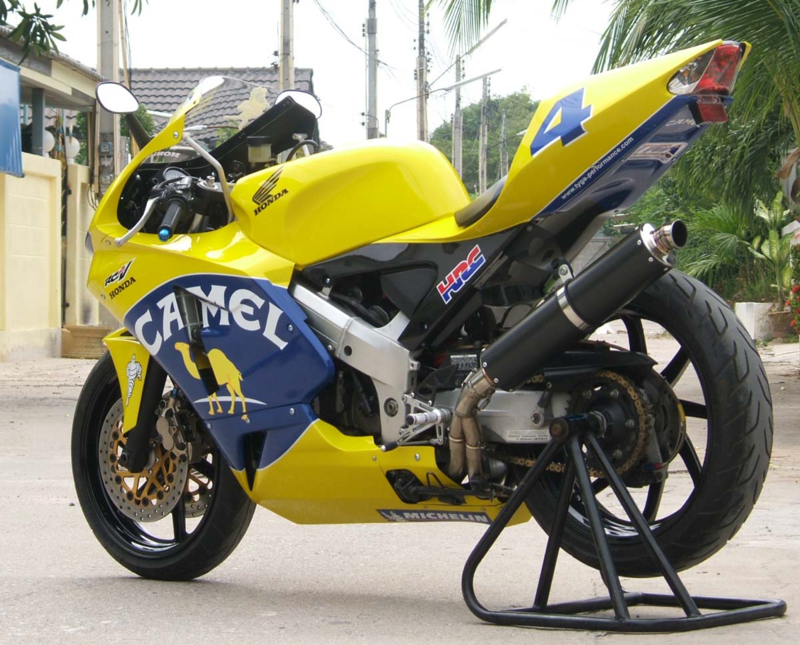 The concept behind this fairing project was to make a set of fairings look as similar as the 2005 RC211V fairings as possible. 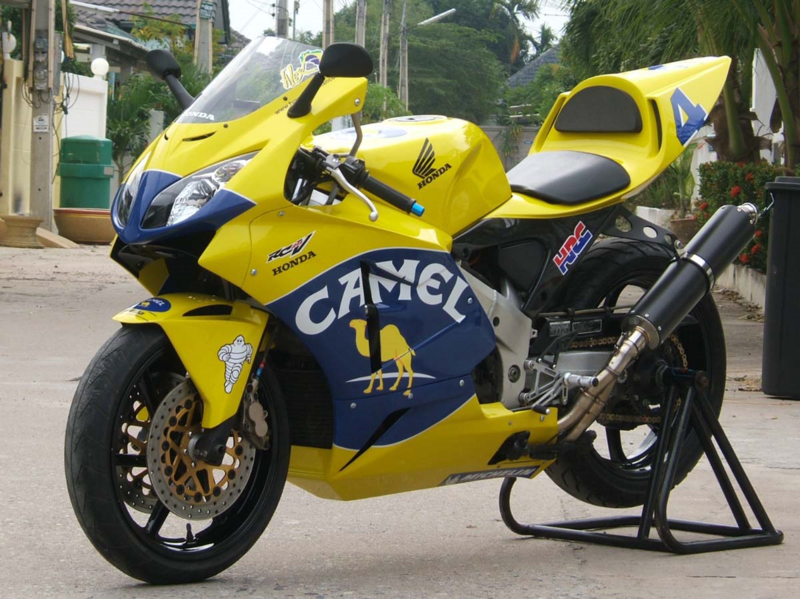 This style was first used by Ukawa at Motegi in 2004 and continued through on all RC211V teams for the 2005 season. 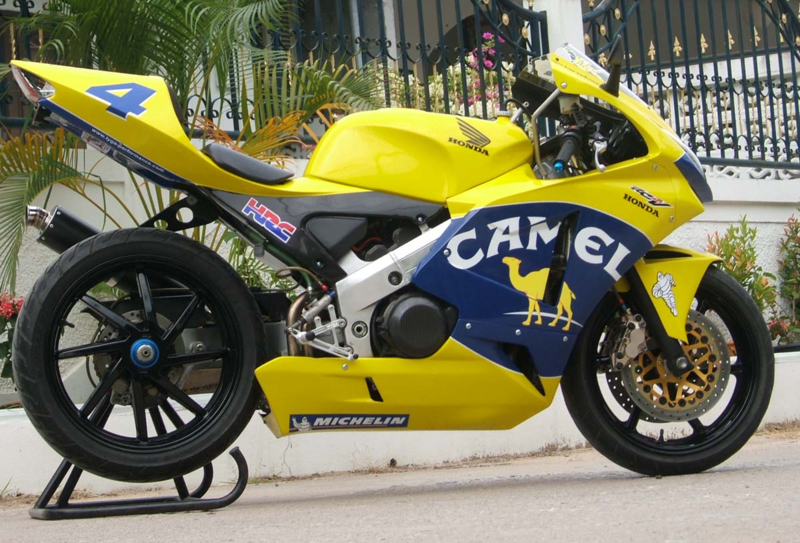 Surprisingly, this style was retained throughout the season for all of the RC211V bikes in Moto GP, unlike previous seasons which have seen several styles come and go and often different teams running different fairings along side each other in the same race. Lucky for us that HRC have stuck to this shape then! 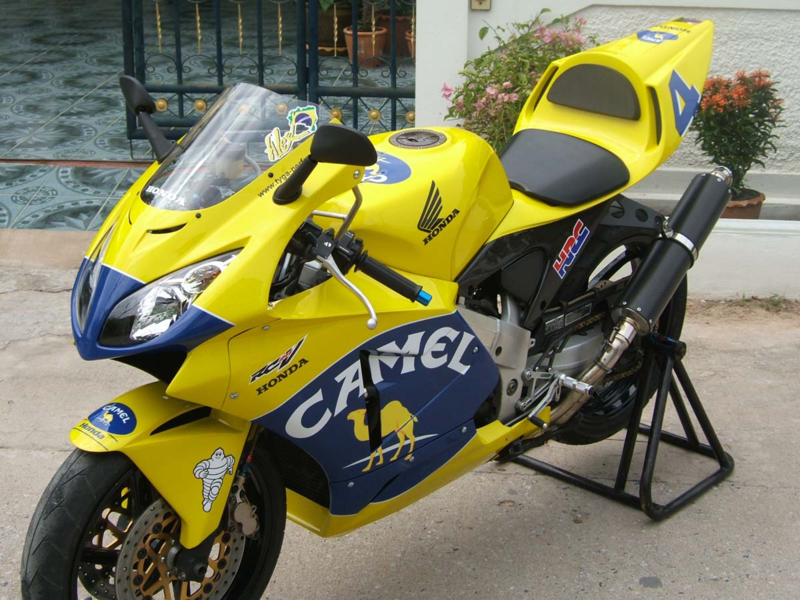 In case you haven't noticed, the NC30, while sharing some similarities with the RC211V such as they both have a V engine and two wheels, are actually worlds apart. A bike costing around $2,000 is going to have a few differences to one costing more than $2,000,000. 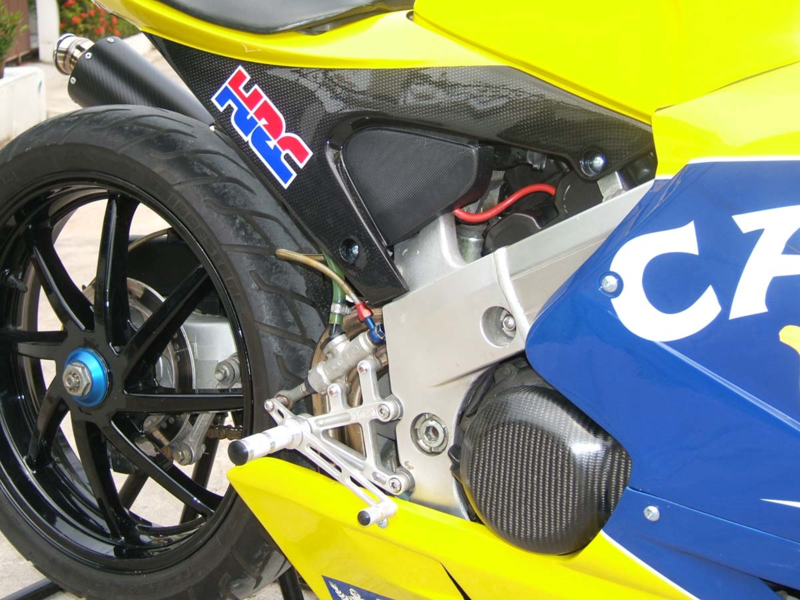 Not a problem, because the bikes are similar size, the easiest thing was to order a set of fairings from HRC when we put our regular order in, wait a couple of weeks for them to arrive and cut and shut them to fit around the NC30. I wish it was that easy! Nope, we had to carefully study pictures and earlier model Tamiya 1:12 scale models and work from scratch. Luckily, we have our designer and fibreglass expert Thanet to help us. 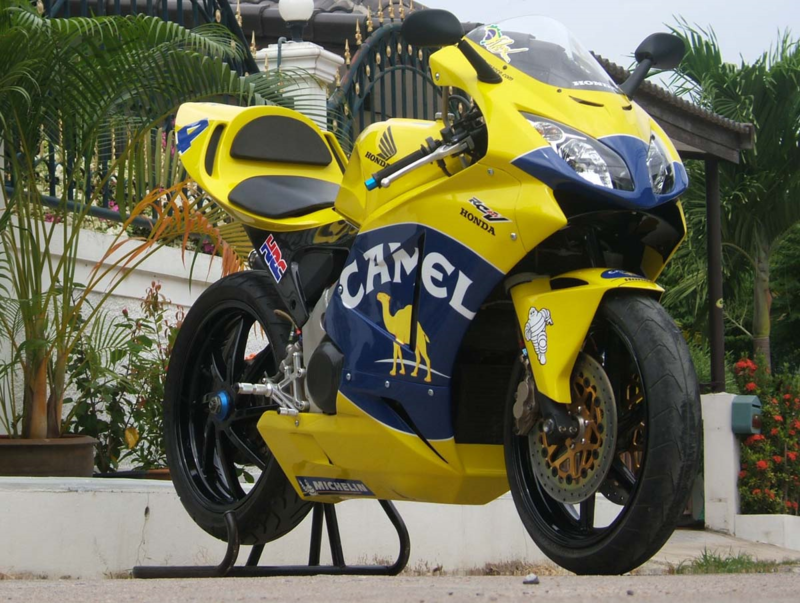 Over several months and a lot of hard work, he came up with the front fairings you see here. Our main challenge was to allow for use of the Tyga Eyes II headlight, stock bulky instruments and reasonable turning on the bars. None of these issues HRC had to deal with so there were compromises, but in the end, we settled for keeping the stock meter stay and fitted a steering stopper to limit steering movement. 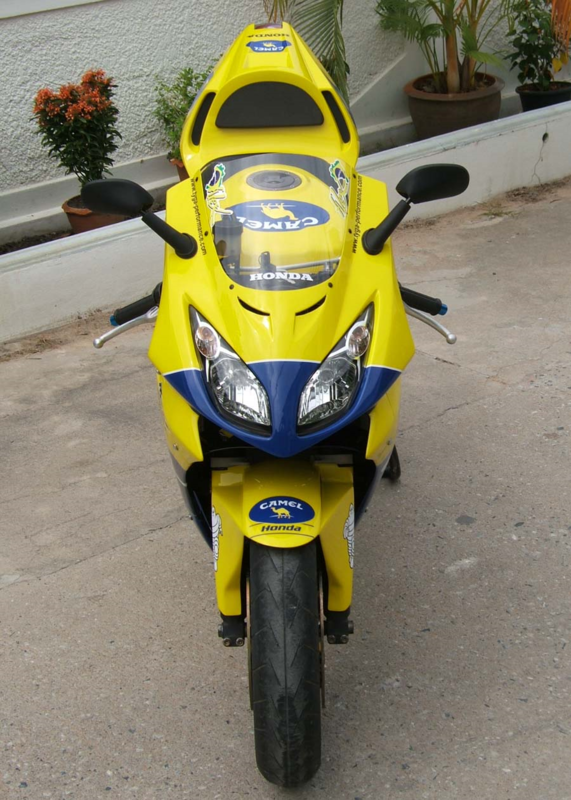 Because this is a street bike, we decided to mount the Spark/GP mirrors supplied in the fairing kit and although Alex Barros doesn't have any on his bike to see when Rossi is on a charge, we don't think they detract from the looks too much. You be the judge! 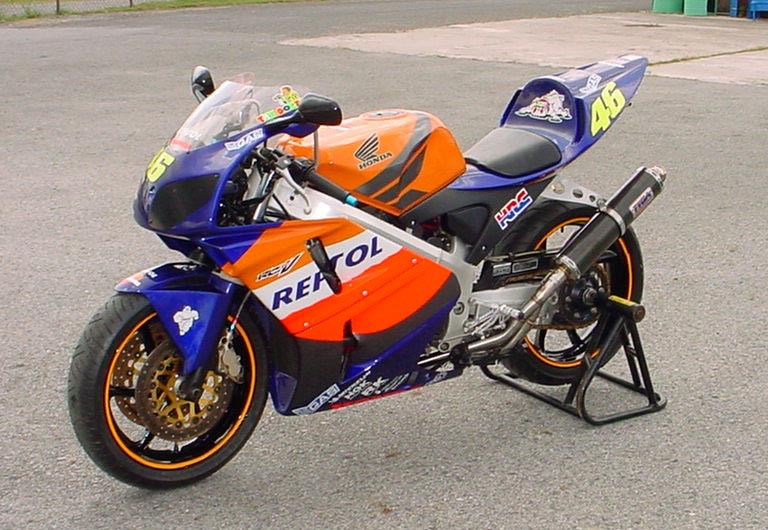 Like the upper cowling, the lower cowling was styled in 1986 from the legendary RC30 bodywork. Our lower cowling departs drastically from this styling. 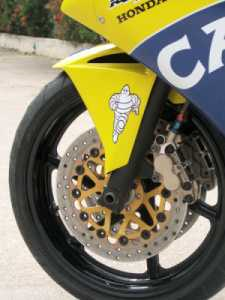 The RC211V uses a deeper sided lower cowling which also extends to the back wheel. This was reproduced faithfully on the right. On the rear left we had to make changes where the side stand and exhaust exit. The kit is supplied with a curved panel to cover up this area with a stock system, but with a race system which exits in a slightly different place, the best thing is to cut the area of the lower cowling to suit the exhaust which is exactly what we have done on this kit. The rest of the bodywork consists of our ever popular RC211V style seat cowling and front fender to complete the transformation. 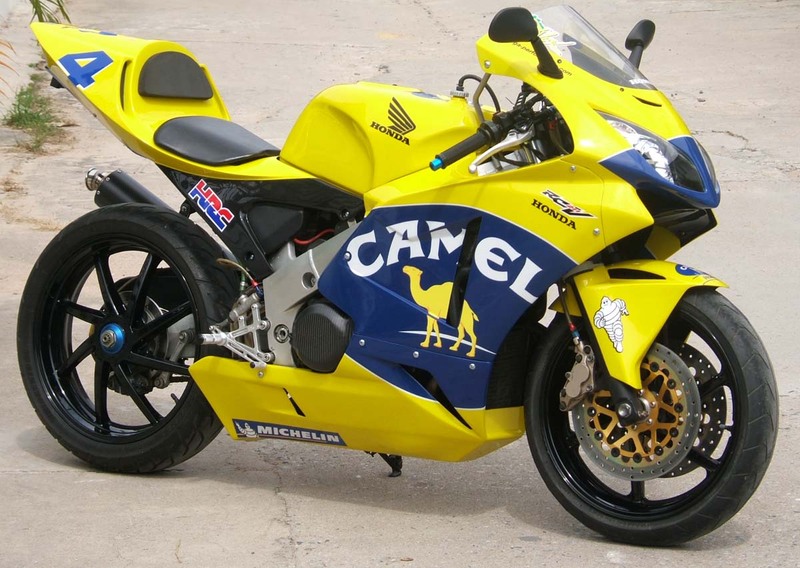 We chose the Camel paint scheme for several reasons. 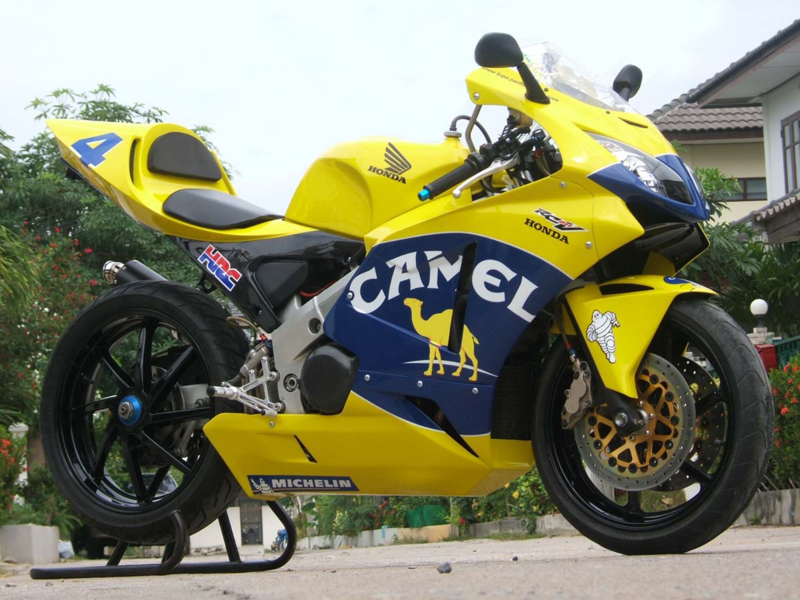 Firstly, we haven't done this scheme before and because it is quite distinctive, it will make this bike look different to our others. 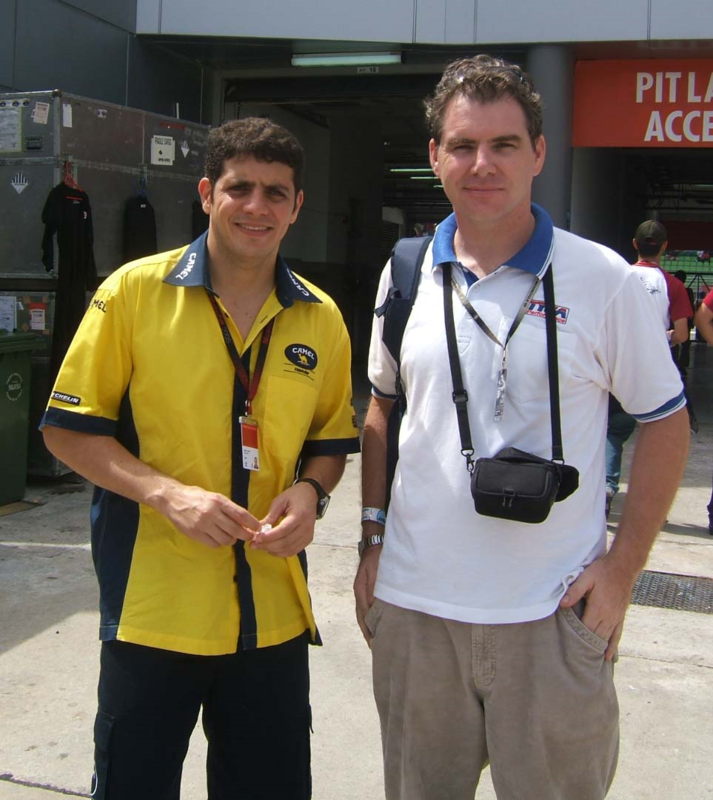 Secondly, I have a soft spot for Alex, probably because he has been racing GPs since I can remember and consistently at the top of the championship (won in Estoril this year). 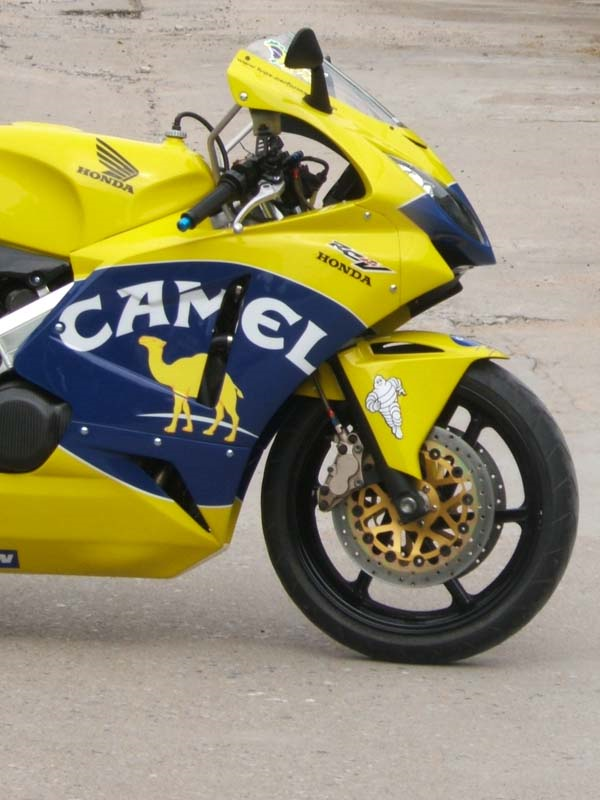 Finally, it just so happened that we were using Honda Pons promotional pictures when we were working on the plug for the fairing and I guess the scheme grew on me. The scheme looks easy as there is not too many lines and sub sponsors. 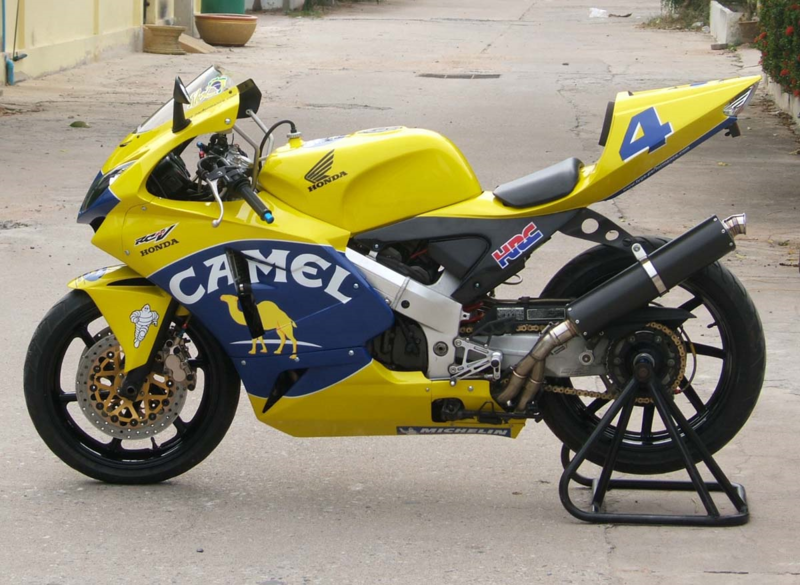 However, with limited resources, it is hard to find a clear picture of the Camel (most paint jobs I've seen make it look like a dinosaur!) and the other problem was getting the 'Alex' screen stickers which added the final touch. 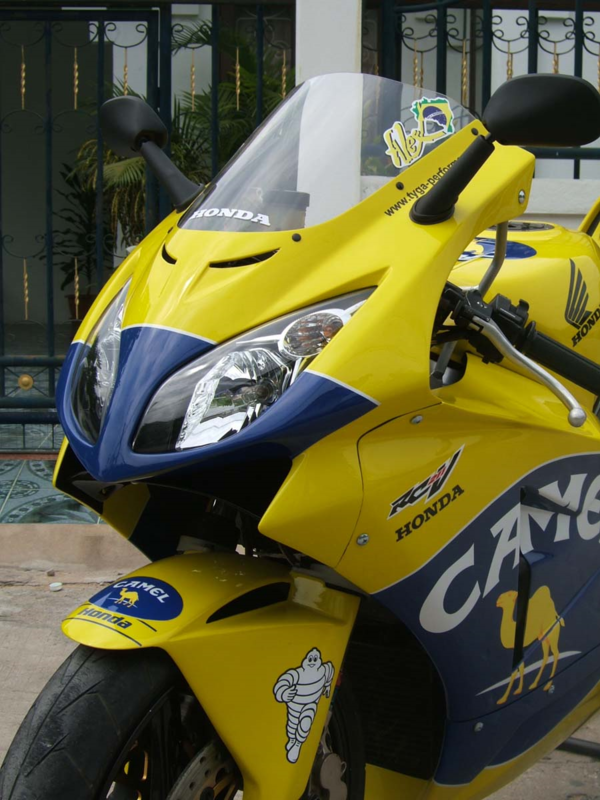 In the end, we got the Camel sticker off the web, but the screen stickers were more elusive and had to wait for our trip to the Malaysian GP at Sepang. 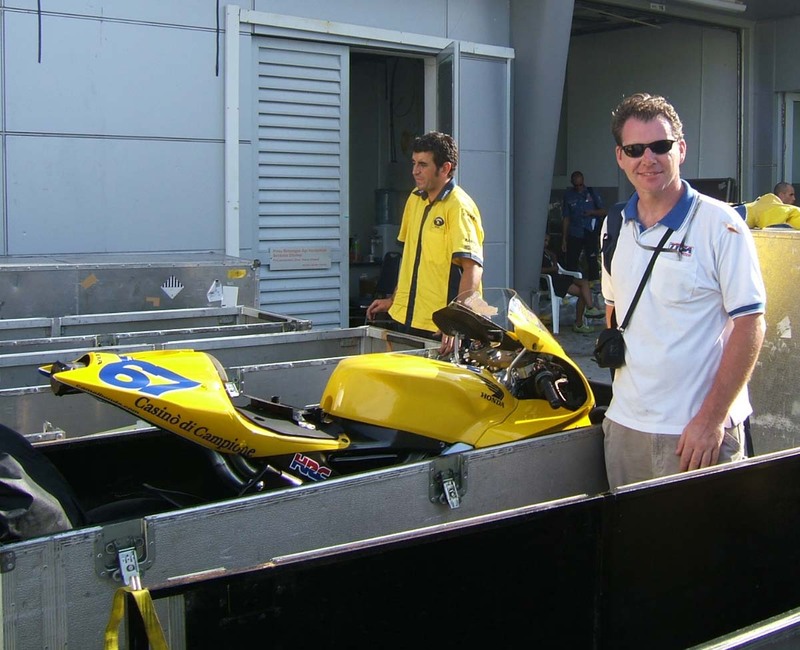 Even then I was refused permission to take the necessary pics by a 'jobsworth', so took them anyway when the bikes were being loaded in the crates. 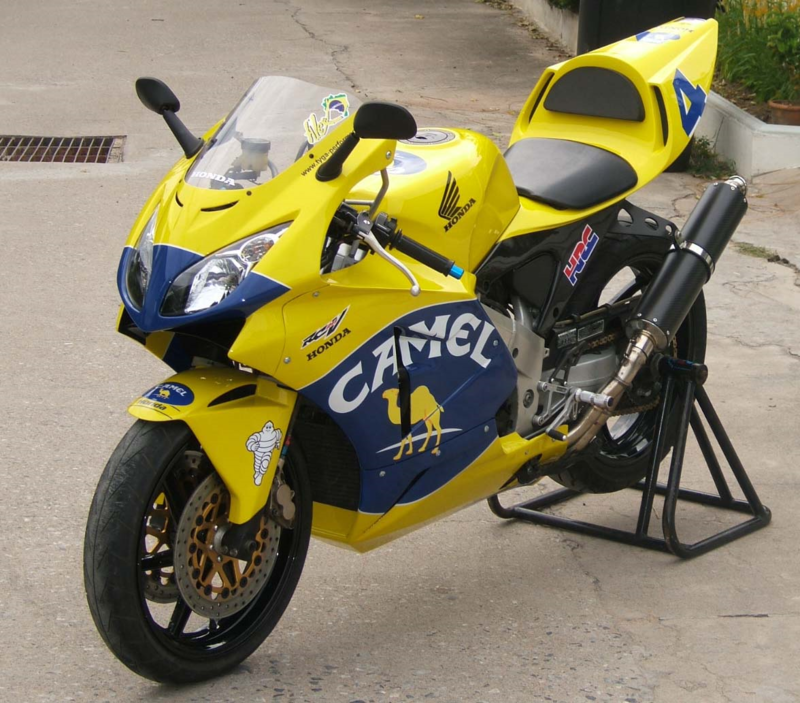 So, what else is new about this bike, compared to when it had the Rossi bodywork? Well there are a few subtle but significant changes, mainly in the form of carbon. The bike now has a carbon front section to the seat cowling, the step kit has a carbon heel guard on the left side, and the exhaust hanger is now available in carbon. The silencer shown on the full race system is actually a prototype carbon tube which we are testing. 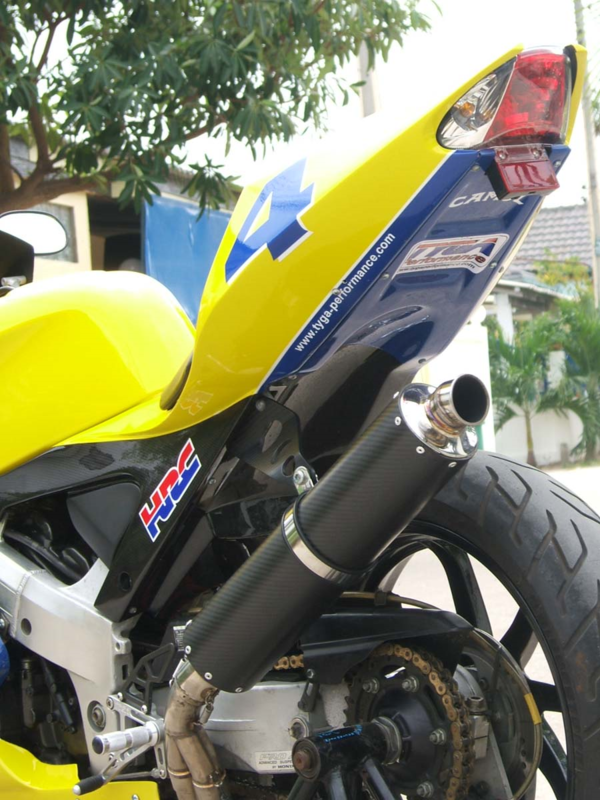 Other carbon on this bike is the air duct under the nose and the engine protector on the right. We'll be making more bling parts in carbon soon to add to our range of parts for this and other models. 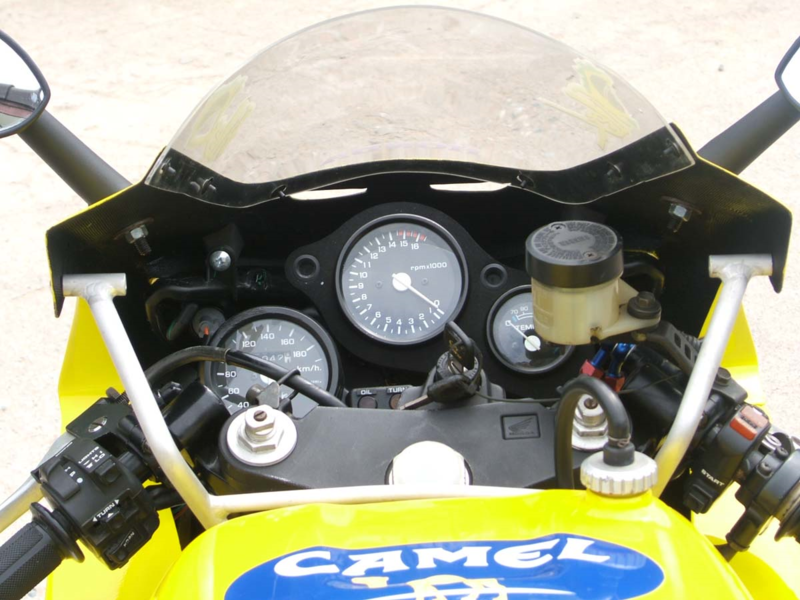 Our NC30 has had quite a few performance modifications over the years. 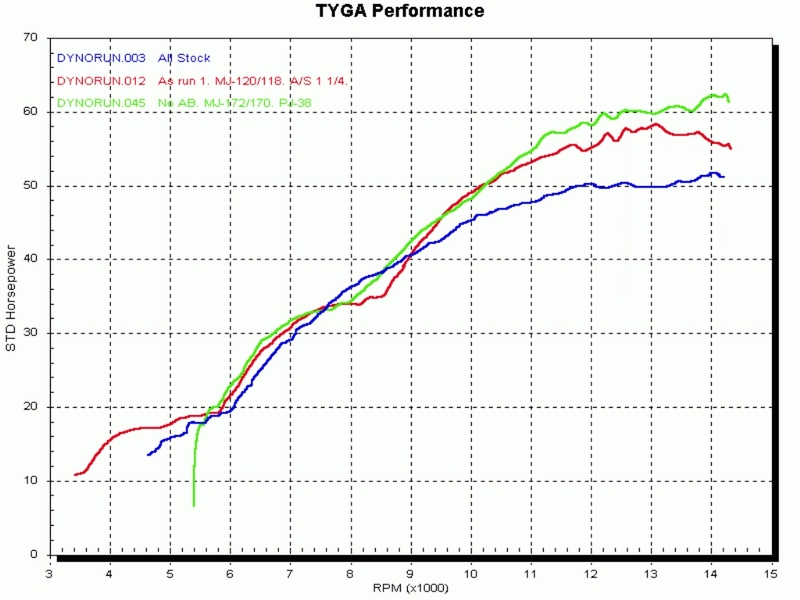 It is fitted with a Tyga Performance full Race exhaust system and carefully set up on the dyno to give over 62 rear wheel horsepower and a very linear power delivery. To achieve this, it is running an open air box and the induction roar is nearly as impressive as the exhaust note. 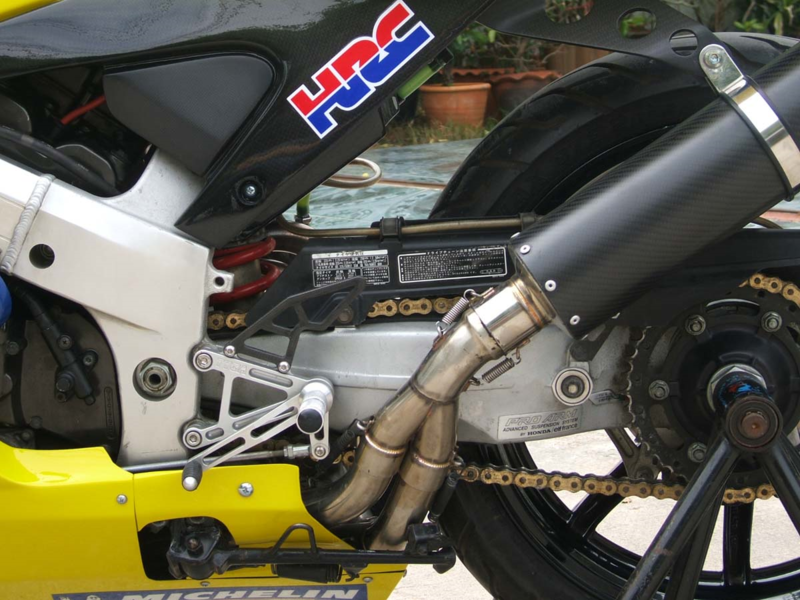 It is also fitted with an HRC box and deristrictor to allow the bike to have more power, rev out properly, and not restrict top speed. The power may not seem much on paper, but it feels very strong on the street and we'll see how it fares against other bigger machines on the track in the near future. To slow the bike up, the braking has been upgraded. It has braided lines all round and cast iron rotors on the front working with stock calipers and master cylinder which are well up to the task.